Old Slave Mart Museum, photograph by Jane Aldrich, Charleston, South Carolina, ca. 2000. 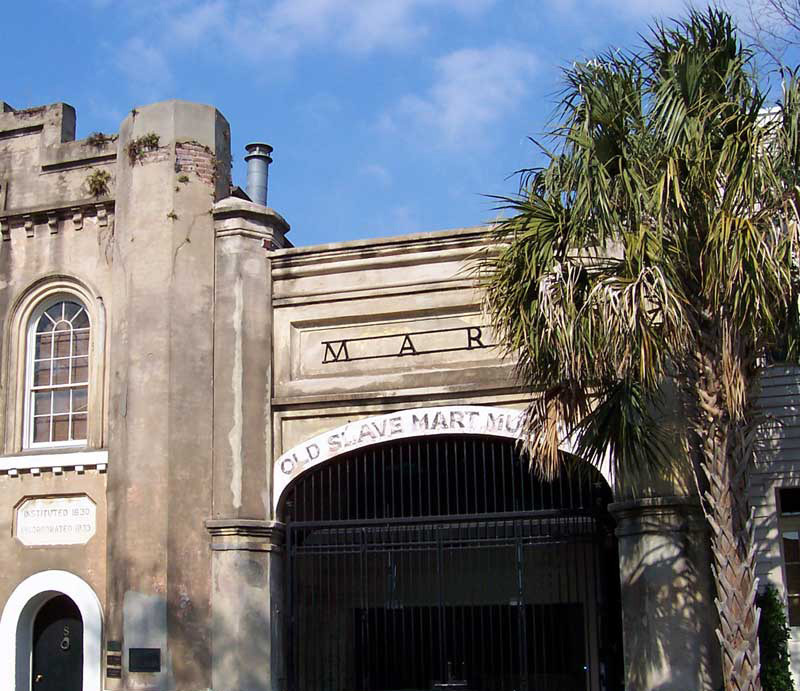 The Old Slave Mart Museum in Charleston documents the history of the U.S. domestic slave trade in the Lowcountry. It is located in a building that formerly housed Ryan's Mart, an indoor slave market in the nineteenth century. Broadside from The South Carolina Gazette, Charleston, South Carolina, May 1769, image courtesy of Middleton Place Foundation. Advertisement notes that this shipment of Africans to Charles Town comes from the "center of rice country." 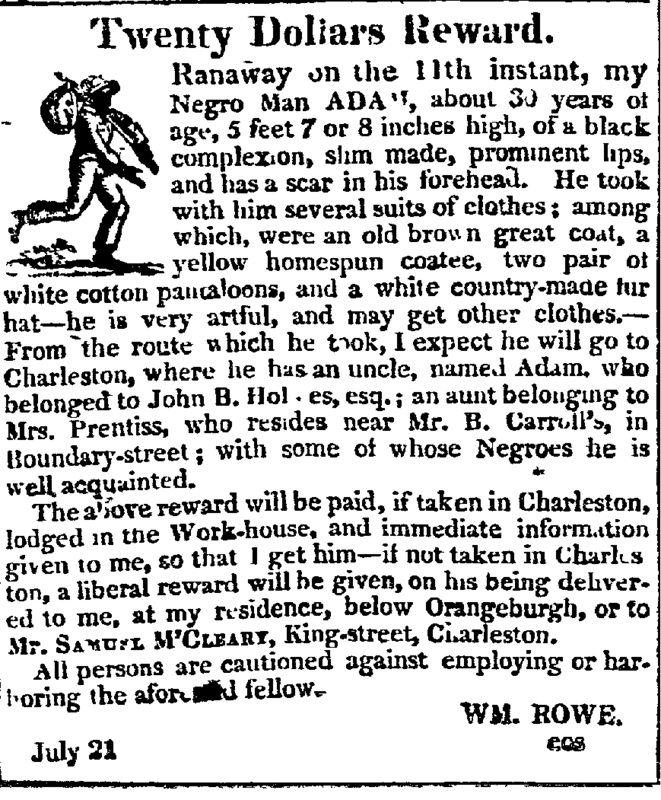 Runaway slave advertisement placed by slave master in South Carolina newspaper, ca. late eighteenth to early nineteenth century, courtesy of the University of Southern Mississippi. 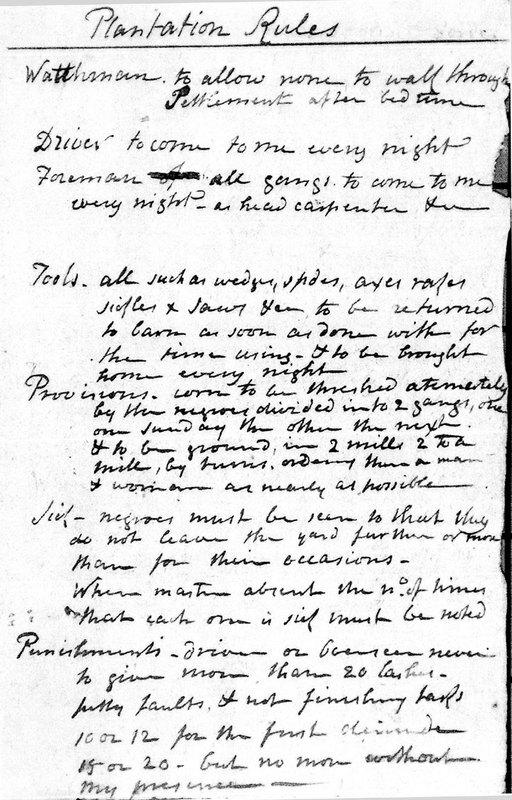 Advertisement notes that the runaway will most likely go to Charleston, South Carolina, where he has an aunt and uncle. Africans most likely first arrived in the area that would become South Carolina in 1526, as part of a Spanish expedition from the Caribbean. For the next century, ongoing struggles between Spanish, French, and indigenous groups in this region involved enslaved Africans who accompanied, and sometimes escaped from, European rivals. After the English settled Carolina in 1670, they launched a plantation economy that increasingly relied on enslaved African labor acquired through the trans-Atlantic slave trade. 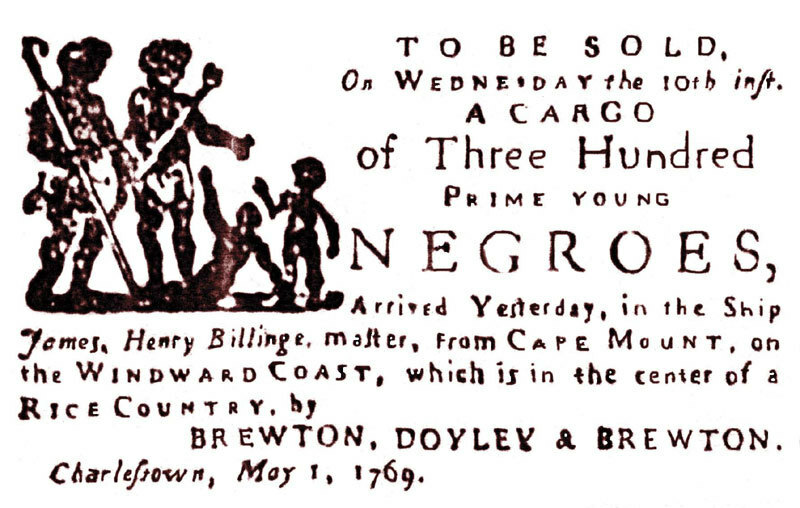 By 1708, the number of enslaved Africans and their descendants in South Carolina had grown to the point that the colony featured a black population majority. With some temporary fluctuations, this black population majority would continue in the colony and later state of South Carolina until the Great Migration of the mid-twentieth century. In the late seventeenth century, English traders established direct access to the trans-Atlantic slave trade, particularly in West and Central Africa, through the Royal African Company and other trading companies. Barbados was a major port for England's trans-Atlantic trade, and in the seventeenth and early eighteenth centuries, from one-third to one-half of enslaved Africans in Carolina came from the English West Indies. By the early eighteenth century, however, the port in Charles Town (renamed Charleston in 1783) began to receive larger numbers of enslaved men, women, and children arriving directly from West and Central Africa. African arrivals to Charles Town rarely exceeded 300 a year in 1710. By 1720 they numbered more than 1,000 annually, and by 1770 more than 3,000 enslaved Africans arrived in the Lowcountry each year. Though the Revolutionary War temporarily stifled the trans-Atlantic slave trade to Charleston, planters and traders in the nineteenth century were eager to acquire more Africans before the U.S. trans-Atlantic slave trade came to a legal end in 1808. Anticipating the upcoming ban on enslaved African imports, Charleston traders acquired some 70,000 Africans between 1804 and 1807. Over forty percent of all enslaved Africans who came to North America through the trans-Atlantic slave trade arrived through Charleston Harbor. These Africans were sold to plantations in the South Carolina Lowcountry, or into the domestic slave trade, particularly to Georgia and East Florida in the late eighteenth and nineteenth centuries. Bunce Island, Sierra Leone, ca. early 2000s (top), 1726 (bottom), images courtesy of Comet Multimedia and the Gilder Lehrman Center for the Study of Slavery, Resistance, and Abolition. 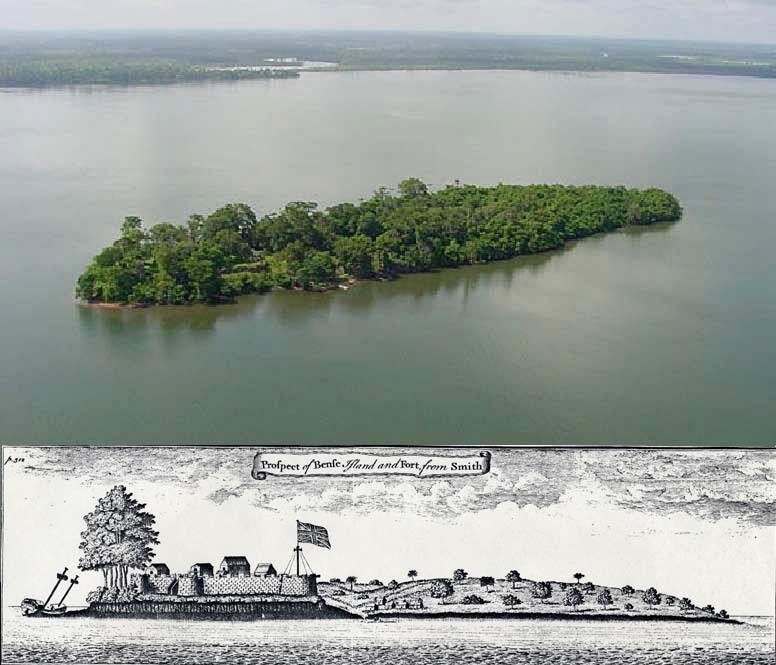 The Bunce Island slave fortress was a major supplier of enslaved West Africans to rice plantations in the British colonies of South Carolina and Georgia. Slave trader Henry Laurens was Bunce Island's business agent in Charleston. 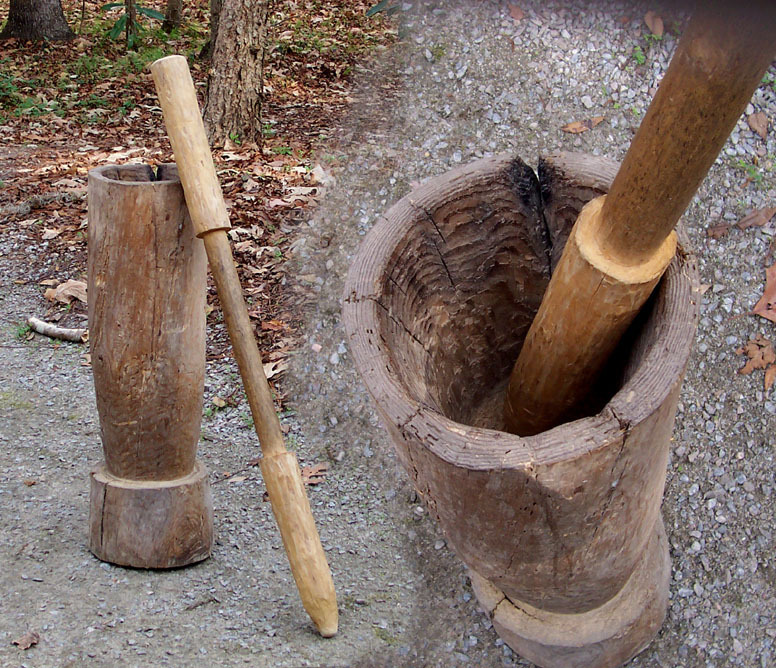 Mortar and pestle used for pounding rice to remove husks in rice growing regions of West Africa and the Lowcountry, photograph by Jane Aldrich, ca. 2000, image courtesy of Jane Aldrich and Drayton Hall. With a unified port of entry and a black population majority, enslaved Africans in the Lowcountry were more likely to have ties of language, kinship, and nationality with other enslaved Africans in the area, in contrast to North American colonies with multiple ports, where African connections of nationality or kinship were more dispersed. In South Carolina, access to these bonds drew enslaved Africans together across plantation boundaries, so that Lowcountry planters often looked for runaways on plantations where the escaped slave had kinship or ethnic ties. The dominant regional and ethnic origins of African arrivals to Carolina changed over time due to various factors, including shifting conflicts and access to the trans-Atlantic slave trade in West and Central Africa, as well as market competition and planter preferences in North America and Carolina. For example, according to slave trader Henry Laurens, colonial South Carolina planters initially preferred to purchase Africans from the Senegambia region. Despite these preferences, more Angolans were imported to the Lowcountry in the early colonial period than any other African nationality because of trade access in that region. British slave traders did, however, attempt to appease Carolina preferences for Senegambians. Overall, by the end of the colonial period, African arrivals in Charleston primarily came from Angola (40 percent), Senegambia (19.5 percent), the Windward Coast (16.3 percent), and the Gold Coast (13.3 percent), as well as the Bight of Benin and Bight of Biafra in smaller percentages. Scholars have found that in contrast to the Chesapeake, Lowcountry planters often differentiated among the many West and Central African cultures, and deliberately sought out slaves of particular ethnicities or from particular regions. Runaway advertisements and other archival sources show that Carolina planters noticed certain skills, physical appearances (including country marks or tribal scarification), personality traits, and habits that they ascribed to particular African cultures. These characterizations were often based on shallow and inaccurate stereotypes, but they sometimes reflected a calculated understanding of international cultures and economies. Scholars such as Daniel Littlefield attribute this attentiveness to planter interests in obtaining enslaved Africans who could provide specific cultivation skills, particularly knowledge of rice agriculture from rice-growing regions in West Africa. Other scholars argue that this level of detail reflects the symptoms of a slave society heavily invested in, and influenced by, the trans-Atlantic slave trade and ongoing presence of new African arrivals. For Africans in Carolina, arrival in Charles Town was a brutal and traumatic experience. After surviving the Middle Passage, many then spent weeks in pest houses for disease quarantine, followed by sale at the hands of traders. Initially slave sales in Charles Town were confined to pens or yards behind homes or stores on Broad and Tradd Street, or outside the Exchange Building. Carolina traders sought to make slave sales organized and civil processes, providing wine, drink, and other refreshments for buyers as they debated prices for enslaved African men, women and children. Plantation rules, Drayton Hall, Charleston, South Carolina, ca. 1844, courtesy of Drayton Hall. Later slave sales moved to enclosed markets such as Ryan's Mart downtown. If they were not immediately sold to local planters or city dwellers for agricultural or domestic work, many of these Africans were forced to travel miles further into the interior, to secondary markets in Georgetown, South Carolina, or Savannah, Georgia, and later through the more widespread U.S. domestic slave trade. Despite these overwhelming conditions, Africans in Carolina developed powerful survival and resistance strategies, as well as rich cultural and spiritual practices drawn from West African traditions that they adapted to Lowcountry contexts. During the colony's earliest years, enslaved Africans worked, sometimes side-by-side, with Europeans and enslaved and free American Indians, to produce subsistence crops as well as lumber, beef, naval stores, and other exports for Caribbean islands where most arable land had been entirely turned over to sugar production. The influence of West and Central Africans was already evident in this early colonial economy. For example, as historian Peter Wood explains, Carolina settlers used a free-range style of herding cattle that was more typical of West Africa than of Europe, so that enslaved Africans in Carolina became some the earliest American cowboys. Initially, enslaved Africans and American Indians were sometimes allowed to bear arms and work independently, but this autonomy, and the presence of a mixed labor force in South Carolina, changed rapidly with the rise of rice plantations in the late seventeenth and early eighteenth centuries. Soon the overwhelming majority of laborers in the Lowcountry were enslaved Africans, and they worked predominantly on plantations, cultivating rice or other cash crops such as indigo, and Sea Island cotton. In addition, white reactions to the Stono Rebellion near Charles Town in 1739, one of the earliest and largest slave rebellions in English North America, also led to more oppressive laws for enslaved Africans and African Americans.